A full collection of BSA motorcycle books, plus owner's manuals, magazines and DVDs about this classic British motorcycle. The Birmingham Small Arms Company (BSA) was a British manufacturer of vehicles, firearms, and military equipment. At its peak, BSA was the largest motorcycle producer in the world. The Illustrated Motorcycle Legends: BSA by Roy Bacon (1995). The BSA story is presented here in an effective combination of words and pictures, many in full colour, enhancing the story of a marque that continues as one of the most popular on the classic bike scene. BSA Bantam All Models 1948-1971 by Roy Bacon (1989). The first Bantam, Variations - D1 and D3, Pivoted fork - D3, D5 and D7, Four speeds - D10, D14 and D175, Bantams in competition, Specifications. 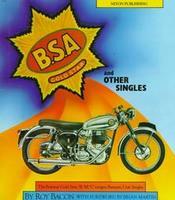 BSA A50/A65 Twins: All Models 1962 - 1972 by Roy Bacon (1990). The unit-construction BSA twins took over from the A7 and A10 series. By then the company was in trouble financially and soon collapsed, leaving behind the legacy of good basic twins that later found favour in the classic bike revival of the 1980s. BSA Gold Star And Other Singles: The Postwar Gold Star; 'B', 'M', 'C' Ranges; Bantam; Unit Singles by Roy Bacon (1991).The post war single cylinder BSA is a short description of a multitude of different motorcycles. Highlighted by the exciting Gold Star, this book succeeds in analysing all the different models, loved or unloved, and concludes with easily read specifications and model recognition points. BSA Twin Restoration by Roy Bacon (1986). The essential guide to the renovation, restoration and development history of all post-war BSA twins. Plus how to recognize parts, improve specifications and maintain this classic motorcycle. BSA Twins - A50 And A65 Gold Portfolio 1962-1973 by R M Clarke (1996) contains articles on Royal Star, Rocket, Cyclone Lightning, Thunderbolt, Spitfire, Special II & III, and Hornet.Including road test reports from such popular magazines as Cycle World, Motorcycle and Motorcycle Mechanics. Plus articles on new model reports, performance data, history, service notes, engine analysis, specs and tuning. 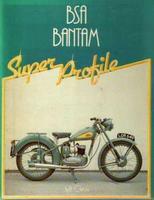 BSA Bantam - Super Profile by Jeff Clew (1983). The history of the BSA Bantum, regarded by some as one of the 'grey porridge' machines of the post-war era, it had a certain charm of its own, if only because it brought low-cost motorcycling within the realm of those who otherwise might never have been able to take to the road. 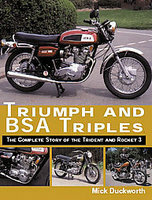 Triumph And BSA Triples: The Complete Story Of The Trident And Rocket 3 by Mick Duckworth (2004). The 750cc three-cylinder BSA Rocket 3 and Triumph Trident represented the first of a new and refined breed of multi-cylinder super bikes when they were launched in 1968. Much smoother than the ubiquitous parallel twins of the time, the powerful triples offered tremendous 125mph performance combined with the pleasant flexibility, and scored many racing successes for Britain in the 1970s. The Book Of The BSA (Covers Groups B And M 1955 To 1964 ) by William C Haycraft (1964) is a practical guide on the handling and maintenance of all 1955 to 1964 four stroke O.H.V. singles, except the 250cc and all Gold Star models. The Book Of The BSA (Covers Groups B And M 1955 To 1967 ) by William C Haycraft (1968). The thoroughly revised new edition of this book deals with the handling and maintenance of all 1955 to 1967 four stroke O.H.V. singles EXCEPT all 250cc 'Gold Star' and B44 'Victor' models. The Book Of The BSA Bantam (All Models 1948 - 66) by William C Haycraft (1966) covers the practical maintenance of all B.S.A. Bantam two-stroke motorcycles from 1948 to 1966. The Book of the BSA Bantam (1948 to 1957 ) by William C Haycraft (1957) covers the practical maintenance of all BSA Bantam two-stroke motorcycles from 1948 to 1957. 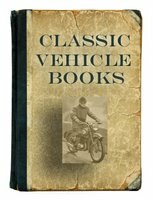 The Book Of The BSA Motorcycles:Workshop Manual 1936-1939 by William C Haycraft (2009) is a faithful reproduction of the Floyd Clymer (W.C. Haycraft) 'Book Of The BSA' originally published in the US in 1947. Much more detailed than the owner's handbook, this manual includes complete technical data, service and maintenance information and detailed instructions for the repair and overhaul of the major mechanical and electrical components for the majority of the pre-war BSA single and twin cylinder motorcycles. However, as this manual was written specifically for the motorcycles constructed between 1936 and 1939 it may not be quite as comprehensive for the earlier versions of these models. 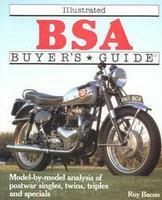 BSA Bantam (Essential Buyer's Guide) by Peter Henshaw (2008). BSA Bantam is the most numerous and popular small classic British bike on the market. There are some Bantam history books, but few practical buyers' guides. 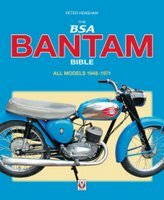 The BSA Bantam Bible: All Models 1948 To 1971 by Peter Henshaw (2008) is a complete history of the Bantam, with buying advice. The Gold Star Book: A Full Workshop Manual On All Non-Unit Gold Star Models ZB - BB - CB - DB - DBD 350cc & 500cc Of All Post-War Years by Bruce Main-Smith (1974). Complete illustrated spare parts lists on late-type Gold Star plus an in-depth selection for the early type. Engine and Frame numbers with machine types, year by year. Engine test house performance tables, historical articles, restoration guide, 500cc Gold Star road test, selections from BSA catalogues, photographs, drawings, designer interview and development history. 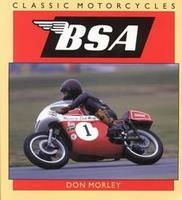 BSA Pictorial History by Don Morley (date unknown). Finest BSA motorcycle examples from around the world. BSA Unit-Construction Twins - The Complete Story by Matthew Vale (2004) deals exclusively with the BSA A50 and A65 unit-twin range. It gives history, full specification details, year-by-year changes, competition fortunes and riding experiences. There is also a chapter describing the complete restoration of a 1965 BSA A65 Lightning. 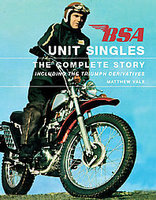 BSA Unit Singles: The Complete Story Including The Triumph Derivatives by Matthew Vale (2006). The BSA range of unit construction singles was in production for fifteen years, and spanned the time of BSA's greatest success, to the eventual failure of the company. In that time, the range provided BSA with their basic 'bread and butter' machines, gave thousands of learners an introduction to motorcycling, provided BSA with many national and world championship wins in the off road arena, mobilized the British Army and gave trail riders the world over the means to further their hobby. This illustrated history of the BSA unit singles runs from the 250cc ohv single cylinder C15 Star of 1958 to the B50 of 1971 and includes all the Triumph-badge derivatives. Matthew Vale provides not only the history but much practical advice relating to the purchase, restoration and maintenance of these machines. The BSA Competition History by Norman Vanhouse (1986) is a detailed story of BSA's participation in motorcycle competitions with numerous black and white photographs. 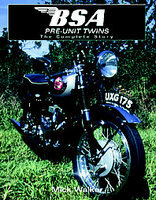 BSA Pre-Unit Twins: The Complete Story by Mick Walker (2005). BSA was once the largest, most successful motorcycle company in the world. Many of the most famous 'Beezas' were powered by twin-cylinder engines, in both vee and parallel configurations. During the interwar years BSA built a series of side-valve and overhead valve v-twins in 500, 750 and 1000cc. After the Second World War, BSA built a family of vertical twins - Star Twin, Shooting Star, Golden Flash, Road Rocket, Super Rocket and the magnificent Rocket Gold Star. This is the very first book to deal exclusively with both the interwar v-twins and the postwar A7/10 series. 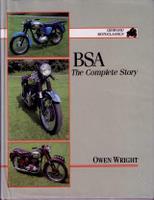 BSA: The Complete Story by Owen Wright (1992) gives a fully detailed history of the marque and its models plus comprehensive specification tables for all models. BSA Bantam by Owen Wright (2003). The diminutive BSA Bantam is one of the icons of British motoring in the 20th century. It was not fast, glamorous or particularly well-built; but it was cheap, easy to ride and reasonably reliable. It introduced many people to motoring in the 1950s and 60s and it holds a an important place in the memory of many. This book charts the huge success of the little bike from Birmingham that started its life in pre-war Germany and went on to conquer the world. It includes a full history of the BSA Bantam, special panels on important features and people, and full specifications for major models. BSA A7 And A10 Twins (Super Profile Series) by Owen Wright (1984) gives a portrait of the model built up by describing its history, production changes and specifications. Then there are road tests (usually contemporary), owners' views, details of what to look for when buying, and information on the relevant clubs and specialists. BSA M20 & M21 Super Profile by Owen Wright (1985). A full portrait of the model is built up by describing its history, production changes and specifications. Then there are road tests (usually contemporary), owners' views, details of what to look for when buying, and information on the relevant clubs and specialists. 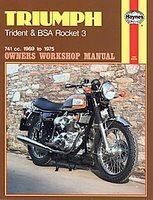 Maintenance Manual And Instruction Book For Motorcycle (Solo) BSA Model M 20 500cc S.V. The Star 1980 - BSA Owner's Club Magazine A 30 page booklet, packed with articles, information, photographs and adverts.